Do you ship or package hazardous materials (or dangerous goods) for international transport by air? Have you already undergone basic DOT Hazmat shipping training that covers domestic requirements? Are you seeking a IATA DGR training online? We now offer IATA Training online! Our 4-hour IATA course covers the fundamentals of shipping dangerous goods by air according to the IATA regulations. This course is a self-paced course. You can come and go as you need and have 60 days to complete it. This course serves as both initial and recurrent training. It will include any changes to the regulations, using the 58th Edition (2018) of the IATA Dangerous Goods Regulations. Once you have received your hazardous material shipping certification, you will be certified for 2 years and will be able to ship internationally via all carriers such as FedEx, UPS, Etc. If these strict requirements are not met, heavy fines and citations may be imposed. Whether you plan on shipping hazardous materials or dangerous goods domestically or internationally, we offer in-depth IATA training online that will help you get your certification in no time. Who needs IATA Dangerous Goods Training? The US DOT requires training for all hazmat employees in the United States, regardless of the rules you are following to prepare hazardous materials for transportation. 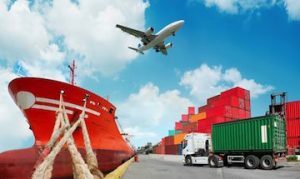 The US DOT allows shippers to follow the International Air Transport Association (IATA) Dangerous Goods Regulations if part or all of the shipment is shipped by air. IATA training is required for all persons who transport dangerous goods according to IATA DGR 1.5. The IATA training rules officially are recommended for all but aircraft operator employees. However, most air carriers require compliance with the IATA DGR as a condition of accepting your shipments. How often do I need to renew my IATA Dangerous Goods Training? IATA training is required every 2 years. Who writes the IATA Dangerous Goods Training? The International Air Transport Association (IATA) is an international group of airlines organized for the safety, reliability, security and economical air travel. The IATA Dangerous Goods Regulations incorporate all of the Civil Aviation Organization (ICAO) technical instructions into the IATA manual and adds requirements that are more restrictive. Most air carriers will not accept dangerous goods shipments that do not meet these additional restrictions so shippers must comply with the IATA rules. Would you prefer a more customized training? Are you seeking online international (IMDG or TDGR) training online? We can train you via webinar! Call us for a customized quote at (877) 674-2669. Our talented hazardous material shipping experts here at Safety Compliance Management will create customized webinar training session(s) to cover international hazardous material or dangerous good IATA, IMDG and TDGR shipping training requirements for your specific product(s). The International Air Transport Association (IATA) and International Maritime Dangerous Goods (IMDG) code both dictate specific hazardous material training requirements that must be met by shippers of dangerous goods. To get the best value for your money, you pay only for the time it takes us to develop and deliver via webinar, at your facility or onsite with us your product-specific coursework and materials. You may have as many employees as you like participate in the international shipping training session, and each participant will receive a hazardous material shipping certificate after completing the course. We only require that you have undergone Basic DOT Hazmat training to provide you overview of hazardous materials and general shipping requirements prior to your customized onsite or webinar training session. It would be our pleasure to assist you with your International hazardous material training needs. All we need is a Safety Data Sheet (SDS) for your product(s), and we will tailor the training to fit your needs. As one of the nation’s leaders in workplace safety training, Hazmat School serves over 20,000 students each year. Through in-depth, real-world exercises, our instructors build a step-by-step approach to keep your organization’s air shipments in compliance with the latest IATA rules and regulations. You can rest assured that each graduate will have the knowledge and capacity to safely handle and ship hazardous materials and dangerous goods. If you are interested in learning more about our online IATA training course or enrolling, we are more than happy to assist you. Give our friendly professionals a call at 877-OSHA-NOW (674-2669), or send us a message to discuss your needs. We look forward to serving you!